With support from the European Union’s CEF Program, Port of Barcelona partners with energy suppliers, ship owner-operators, port equipment manufacturers and technological innovators to pilot and measure the efficiency of LNG on land and at sea as an alternative fuel source. The aim is to reduce NOx, SO2 and PM emissions using alternative fuels throughout the ports nautical and intermodal chains for cargo ships, ferries and cruise ships. The Port of Barcelona’s energy transition towards a more environment-friendly business model is gaining momentum, as it completes pilot operations using LNG and CNG as alternative fuels throughout its nautical and intermodal supply chains. 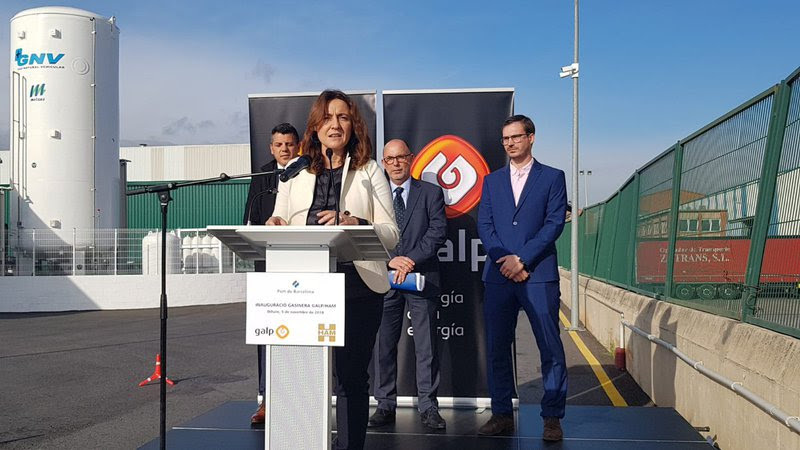 The plan was introduced by the Port Authority as part of the Metropolitan region’s action plan to improve air quality, Horizon 2020, passed by the Catalan government in 2014, as well as with the Air Quality Improvement Plan of Barcelona 2015-2018, by the City Council. 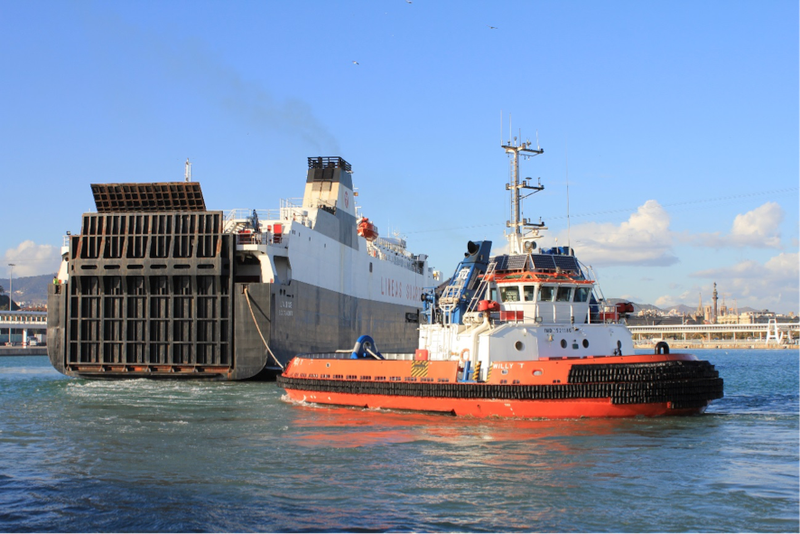 “The Port of Barcelona’s Air Quality Improvement Plan focuses mainly on measures to reduce emissions from vessels, wheeled traffic, machinery, bulk cargo operations and infrastructure works. The plan also encourages rail and short sea alternatives to road cargo transport whilst improving sustainable mobility using either gas or electrification in the port” comments Jordi Vila who is Environmental Manager of the Port of Barcelona. 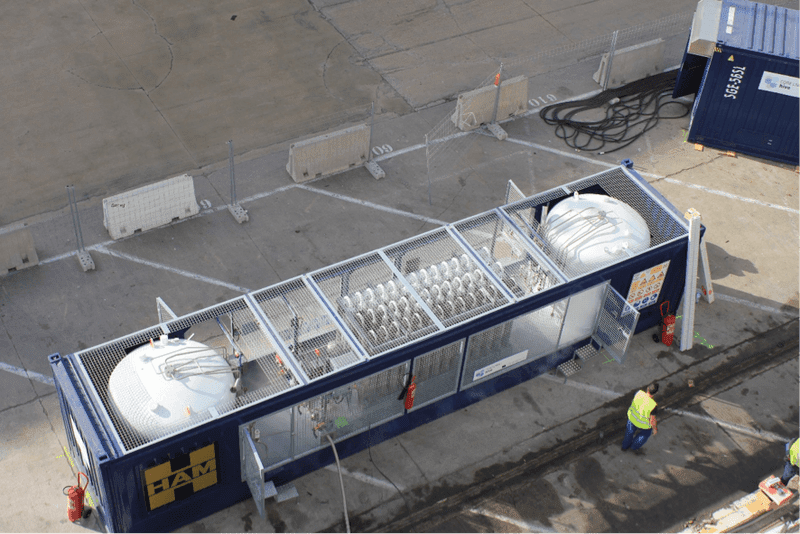 The Port of Barcelona has the advantage of ample availability of liquified natural gas (LNG) and compressed natural gas (CNG) due to the location of Europe’s first ever main regasification plant at the port, which is owned and run by Enagás. With the upcoming IMO 2020 sulfur fuel regulation for ships, the Port of Barcelona believes in the importance of establishing LNG and CNG as alternative and more sustainable fuels compared with the conventional oil-based fuels that tend to be used at sea as well as on land. LNG eliminates emissions of sulphur dioxide (SO2) and particulate matter (PM10) as well as reducing nitrogen oxide emissions (NOx) which are 85% lower than with diesel and fuel oil. 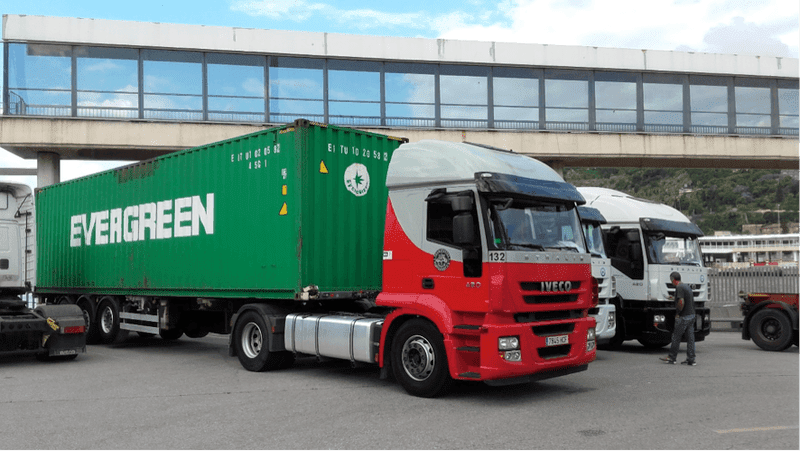 On land, with the REport project involving eleven partners, twenty-six trucks transporting containers between the port and the Metropolitan area have been converted to a dual-fuel system. Twenty-five of these can run on compressed natural gas (CNG) with one able to operate on liquified natural gas (LNG) by mid-June of last year. A 12-month study has been initiated last summer to monitor the positive impact this change has on emissions. In the port area it is estimated that around 2,200 trucks transport goods to various destinations. By November, more than 60 trucks operating locally are already being powered by natural gas, either with dedicated or dual fuel engines. The Port is also collaborating closely with Enagás, which is leading a project supported by funding from the European Unions Connecting Europe Facility (CEF) programme. CORE LNGas hive is a large-scale project with a total of 42 members, including several ports on the Iberian Peninsula. This project has already yielded several initiatives at the port. 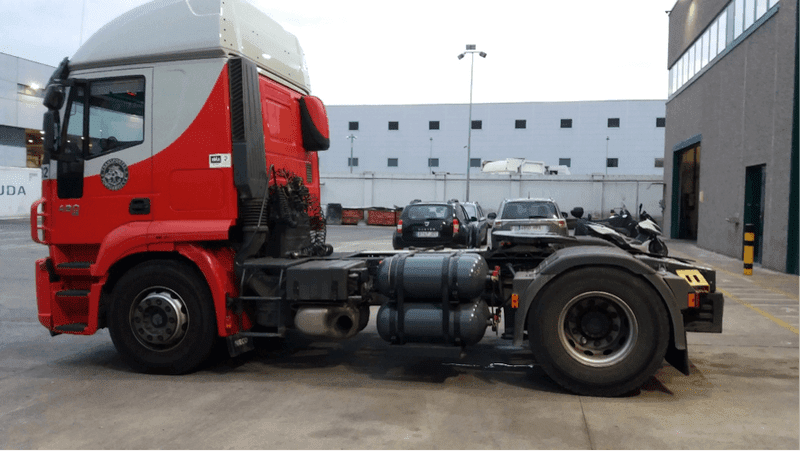 For example, with its partners APM Terminals, LNG services provider HAM, technology provider IDIADA and Naturgy Iberia, the Port of Barcelona has taken an existing straddle carrier to completely transform its two 150 kW diesel-based motor engines to natural gas with the aim to keep the same level of performance. The straddle carrier will also be equipped with two 500 liter tanks for LNG supply to the motors. The pilot operation of this straddle carrier is scheduled for October this year. 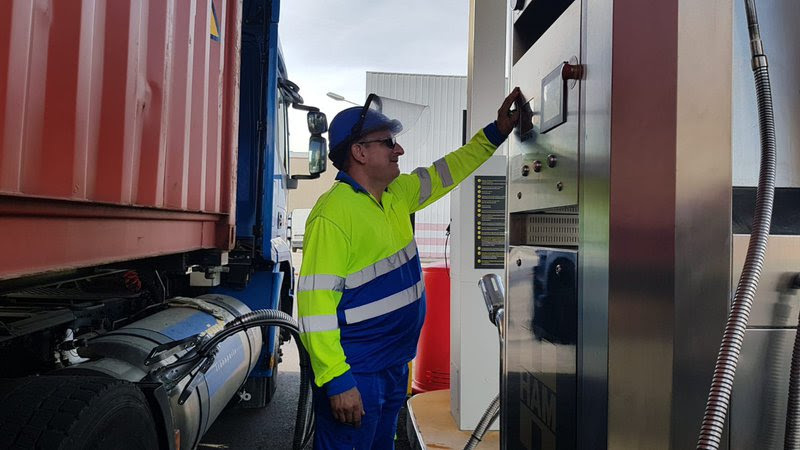 In addition, and to supply these and other vehicles with alternative fuel, the Port of Barcelona, Spanish LNG services provider HAM and Portuguese energy player Galp opened the first natural gas supply station for vehicles in Spain’s port system last November as an additional cHAMeleon project. The new facility currently has two compressed natural gas (CNG) pumps for trucks and vehicles, two liquefied natural gas (LNG) pumps for trucks and a cryogenic LNG tank of 60 cubic meters capacity. There are plans to double this capacity moving forward. “The gas supply station is proof of the Port’s firm commitment to foster use of an alternative clean sustainable fuel like LNG” commented Port of Barcelona’s President Mercè Conesa at the launch. A third CORE LNGas hive project involves the feasibility study and design of a tug boat, with a dual fuel engine capable of running on diesel and LNG. The ultimate aim of this project is to compare performance using both fuels, with the ultimate aim of justifying the deployment of LNG-fueled engines to the entire fleet of tugs. The project commenced two years ago and remains ongoing. The Port of Barcelona estimates that 71% of total NOx emissions emanate from vessels whilst being moored alongside the quayside. To reduce this impact, a further CORE LNGas hive project involving HAM, Siemens, Suardiaz Group, Bureau Veritas and the ports of Barcelona, Vigo and Tenerife have teamed up to establish a pilot project to supply electricity autonomously to ships alongside. 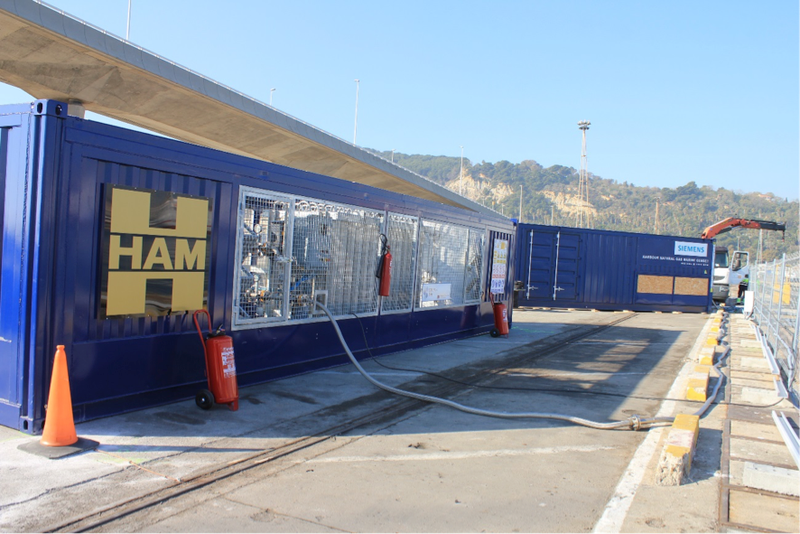 They have deployed two containers at the quayside : one which contains a regasification unit with two LNG tanks which provides gas to an 850kW generator set which runs on gas and is capable of generating electricity connected by special cable to the ship alongside. 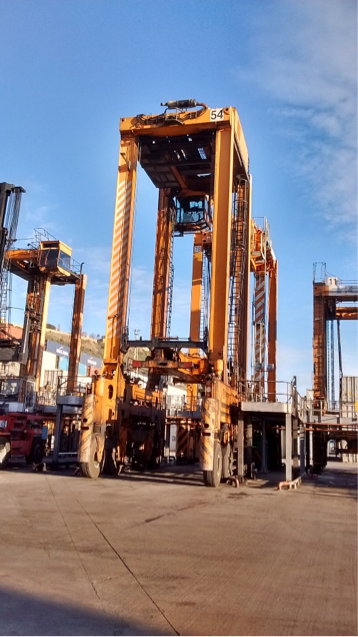 The system has been tested successfully in the Port of Barcelona and in the Port of Vigo before undergoing a final test at the Port of Tenerife. 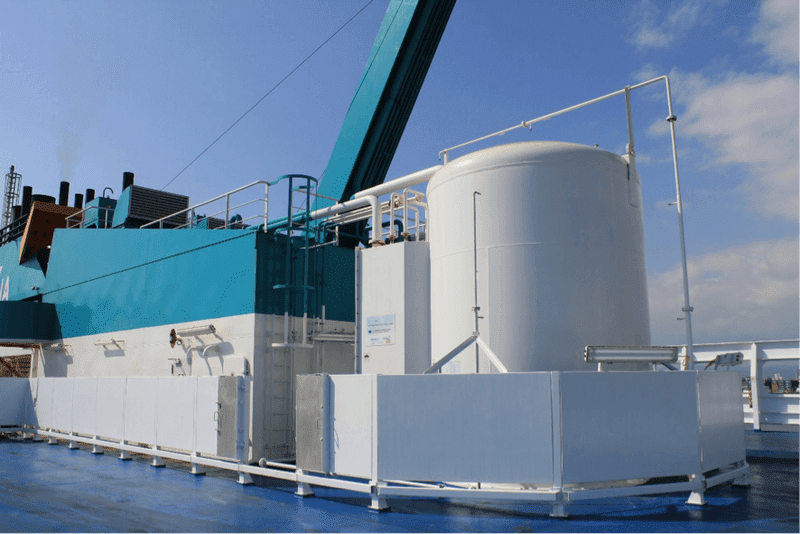 Meantime as part of the European Union’s CEF Programme with Project Cleanport, ferry owner-operator Baleària is piloting an on-board natural gas-propelled auxiliary motor on board its ship Abel Matutes. This motor generates electrical power whilst in port and during arrival, departure and docking manoeuvres on its Barcelona-Palma route, reducing emissions. The first truck-to-ship LNG transfer with the ferry took place at the Port of Barcelona in February 2017 following the signed agreement a month earlier by Naturgy (formerly Gas Natural Fenosa) and Baleària to supply its vessels with LNG at the ports of Barcelona and Palma de Mallorca. This pilot programme has supplied LNG to Abel Matutes which has installed the gas-powered engine and a 30 m3 tank (enough for one week) on deck 8. 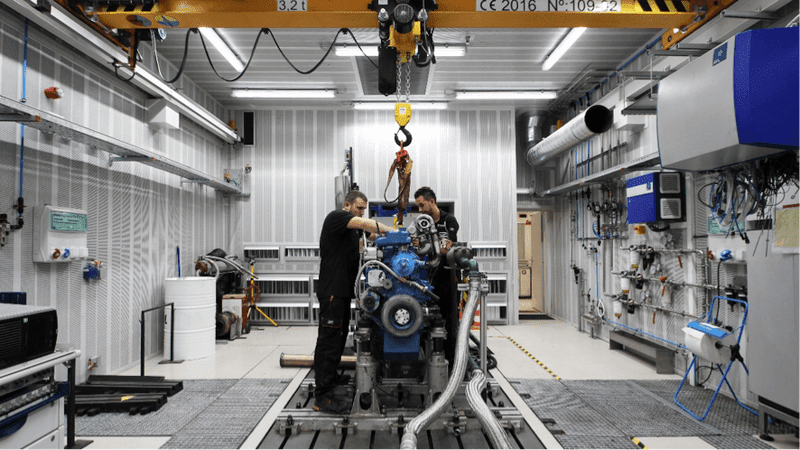 The new engine is fully integrated into the ship’s electricity plant, which enables it to operate by disconnecting its auxiliary engines. Last November, also as part of the European Union’s“Connecting Europe Facility” project, Baleària announced it would begin retrofitting its ferry Napoles to operate on dual fuel, permitting their vessels to travel a distance of 1,200 miles on LNG. Five other ferries are lined up for the same conversion and the Port of Barcelona shall be prepared for LNG barges to supply fuel. 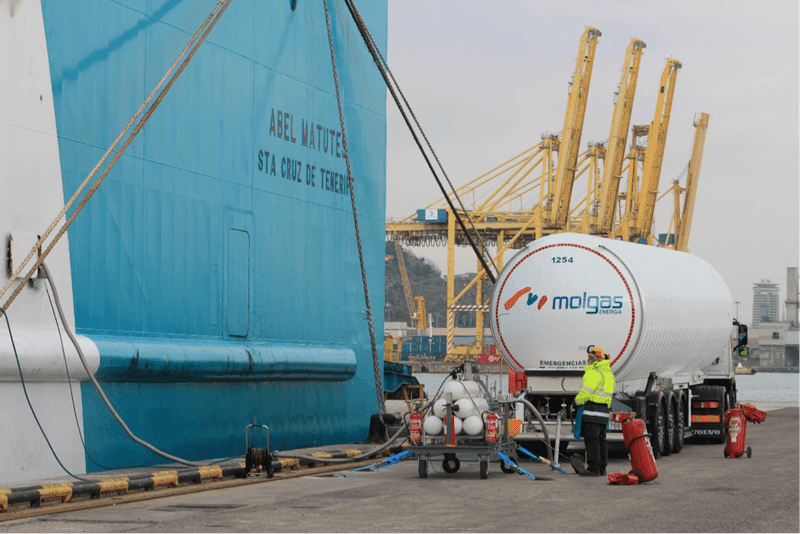 Aside from these technical innovations, the Port of Barcelona is working with Enagás to develop terminal infrastructure to supply small scale LNG to both bunker barges and bunker vessels which will permit ship-to-ship operations at the Port. Jordi Villa added : “the next steps also involve working closely with the Spanish State Ports Authority as well as Classification Societies and the Clean Marine Fuels working group of the IAPH to ensure safe and efficient future LNG bunker operations. The authorities are also already looking with us at legislation that provides port dues incentives to owners with ships that exceed standard environmental performance. The Port of Barcelona intends making itself a top destination for the next generation of LNG-powered container ships, cruise ships and ferries”.